MainAll NewsInside IsraelHow Much Foreign Money Do Left-Wing NGO's Get? How Much Foreign Money Do Left-Wing NGO's Get? Two bills targeting foreign funds to domestic political NGOs in Israel have received gov't backing - how much money is at stake? The Knesset Ministerial Committee for Legislation approved two bills that aim to limit foreign funding for political NGO's in Israel on Sunday. 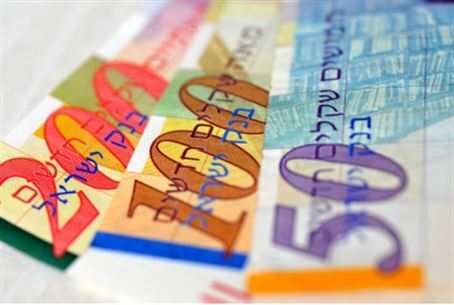 One bill would cap donations from foreign governments' contributions to "political" NGOs at NIS 20,000. The other bill would deprive political NGOs that rely on foreign funding of tax exempt status and levy a 45% tax on foreign donations. The bills do not affect NGOs that deal solely with education and social welfare. Proponents say that NGO's in Israel effectively act as proxies for the agendas of international organizations and foreign governments - such as Britian, Norway, and the European Union - in Israel. They also say that foreign-inflated budgets of left-wing NGO's in Israel give these organizations an unfair advantage that skews perceptions and undermines the ability of Israelis to influence their own domestic politics. Association for Civil Rights in Irael: Budget NIS 8.5 million. Foreign donations NIS 1.3 million (18%). Ir Amim: NIS 4 Million. Foreign donations NIS 1 million (25%). Peace Now: Budget NIS 3.5 million. Foreign donations NIS 1.2 million (34%). Physicians for Human Rights: Budget NIS 4.5 million. Foreign donations NIS 3.6 million (80%).